Does she understand the enormous amount of dedication needed to learn to play an instrument? Is he ready to accept the rules, guidelines and suggestions of the teacher? Will she still be interested and not frustrated when the teacher asks her to play a certain way, or hold her hand in a certain position? Does he have the fine motor control as well as the maturity and attention span necessary for DAILY home practice? Can she concentrate daily for 30 minutes on a series of directed tasks? Will he thrive in a learning environment where it’s just he and the teacher, or does he learn best in a social, play-like setting? 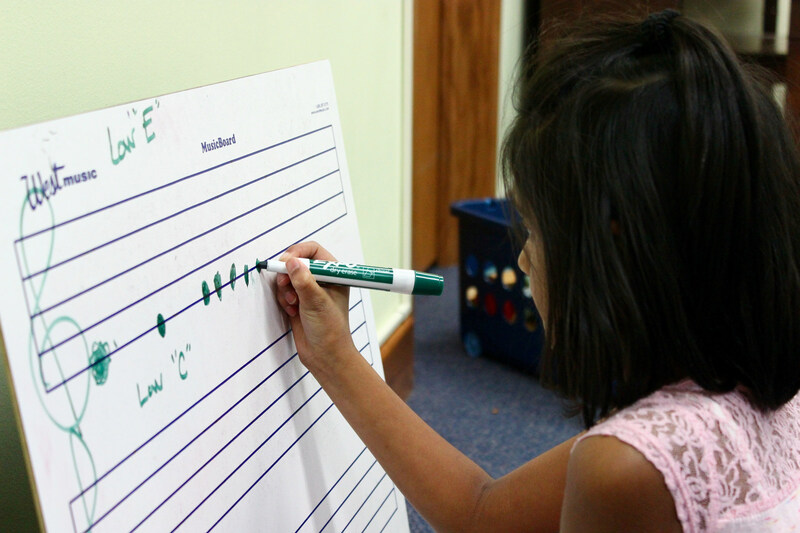 In Kindermusik, your child is receiving the strongest foundation in movement, vocal development and listening, which will help her be successful when the time comes to learn an instrument. Research shows that he will remain motivated longer than a child without such a background. In the book, Choosing The Right Instrument For Your Child, the authors claim that one of the most common factors in children’s musical failure is starting at the wrong time – too early. For most children, the best time to start learning their first instrument is some time between the ages of six and ten years. 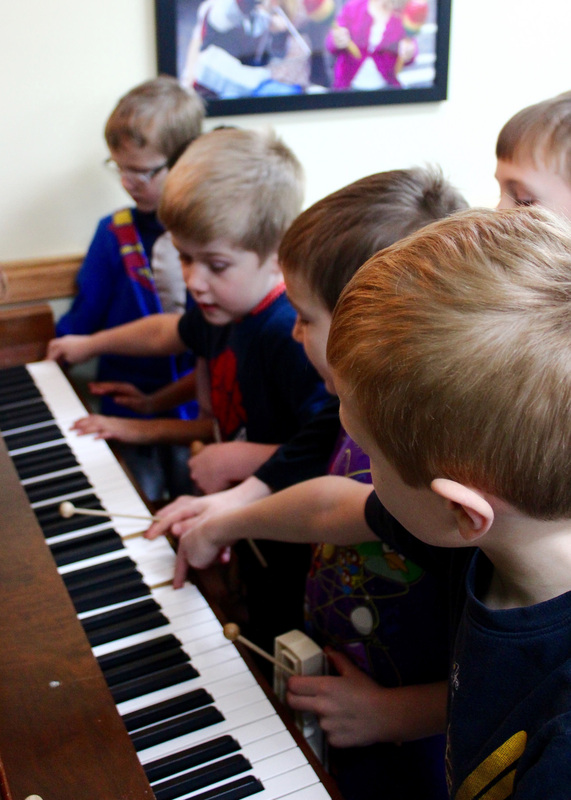 If your child has a genuine interest in playing an instrument at 4 or 5 years of age, that interest will come back even more strongly in a couple of years when he is physically, emotionally and cognitively ready. You and your child MAY be happier if you wait. 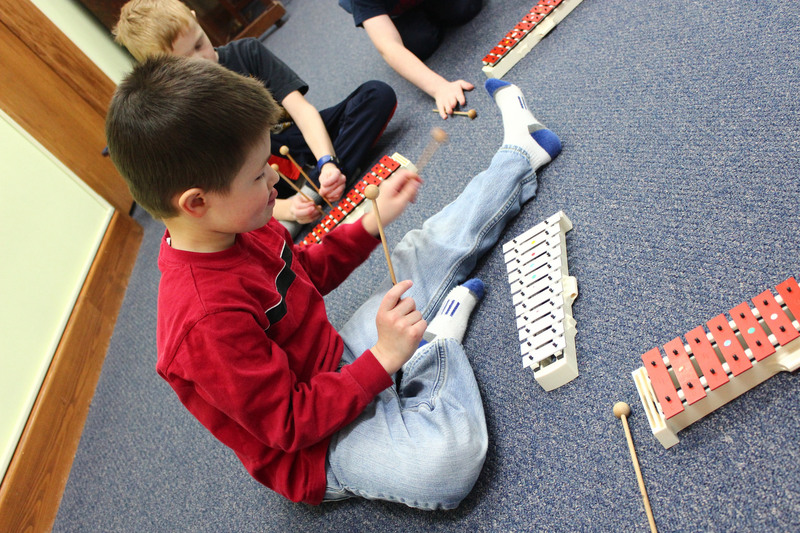 In the meantime, our Kindermusik for the Young Child program for 5 to 7 year olds prepare children for instrumental lessons while still having fun and learning through methods, which have been designed with your child’s unique developmental needs in mind. 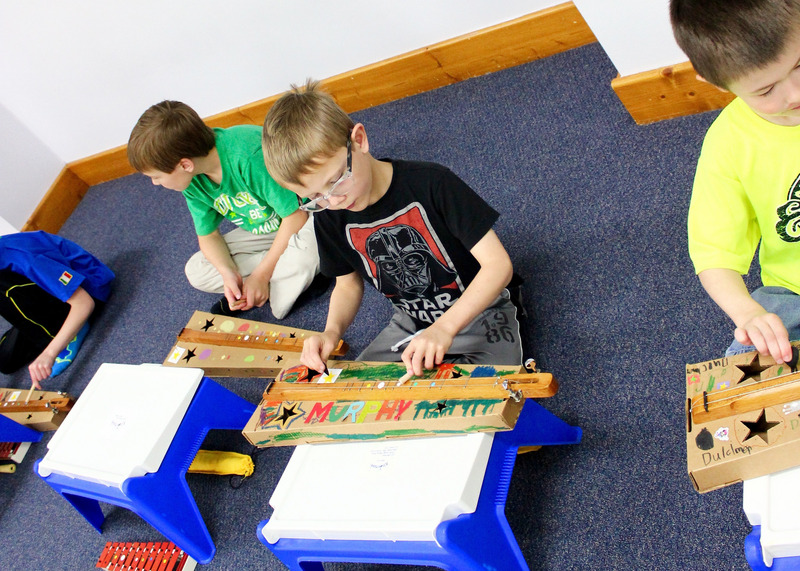 They learn to READ and WRITE music, play the GLOCKENSPIEL (pre-keyboard instrument), the DULCIMER (string instrument) and RECORDER (wind instrument). We also work on the piano and ukulele and include it in our graduation recital! 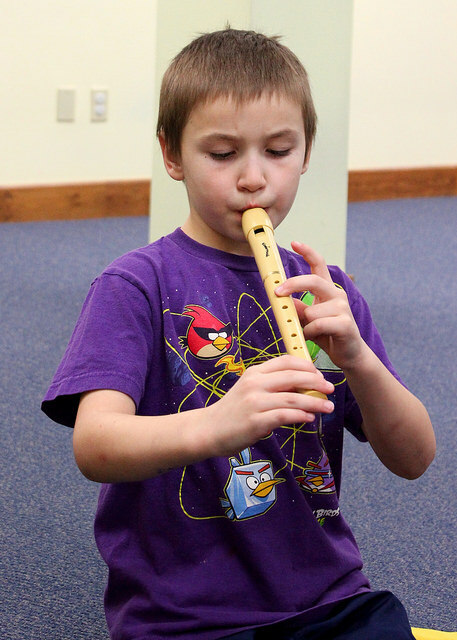 Class for 5 & 6 Year Olds runs Wednesdays 5pm-6pm beginning this Fall!